Custom CNC milling is specific process controlled by a computer that generates alphanumerical codes. This machining process is similar to cutting and drilling and because of this, it can achieve a large number of operations that cutting and drilling machines perform. Similar to drilling, milling is designed to use a rotating cylindrical tool for cutting. With custom CNC milling, it is possible to make far more complex shapes from metals, as well as other solid materials. The work piece is fixed to a moveable table used to guide the material around a rotating cutter that remains stationary. However, when a moving cutter is used, it operations around a table that is stationary. Depending on the milling machine being used, some feature a spindle designed to move along the Z axis. With this, the cutting method can be adjusted easier. Today, many industries turn to machinists for custom CNC milling for planning, rebating, drilling, slot cutting, and routing. In fact, in some industries, this machine method has become the mandatory choice. Something else to consider for custom CNC milling is that for machines that do have the Z axis spindle, highly advanced three dimensional objects can be created as well. These machines are also commonly used for engraving, as well as die-sinking. Regardless of the material or the project, it is imperative to choose the best machine shop possible. 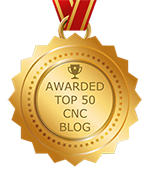 Machinists need to fully understand and have experience completing custom CNC milling projects especially when doing work for more sophisticated industries like automotive and aerospace.